MARQUETTE COUNTY — The government shutdown is affecting many lives and creating financial problems for many people, even in the U.P. 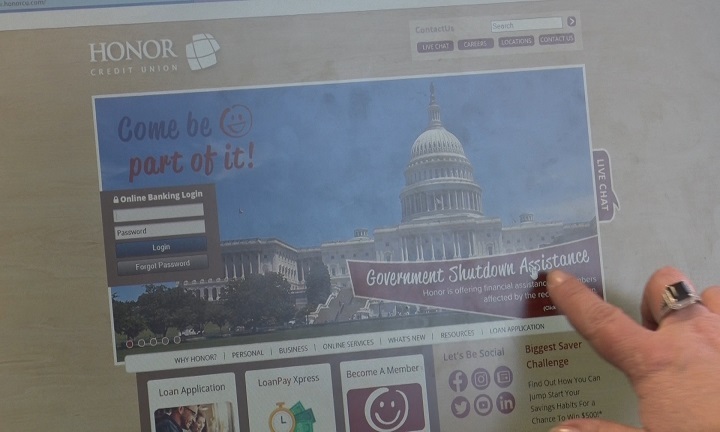 For any member that goes through Honor Credit Union, they will have the opportunity to receive loans that can help them during the government shutdown. Although to be qualified you must show supporting evidence that you are being affected by the shutdown. With these loans comes helpful support including benefits such as offering a 0% interest personal loan equal to the amount of your lost pay. You will also not need to make any payments for 90 days. If you are not a current member and are seeking relief you can go and sign up to become a member at either Honor Credit Union branch in Negaunee or Marquette.